Before I can teach my kids about Earth Day, I have to teach them about Earth. Come on over to Fun in K/1 to read about my lesson and craft about Earth. This lesson includes Science, Math, Reading and Writing! 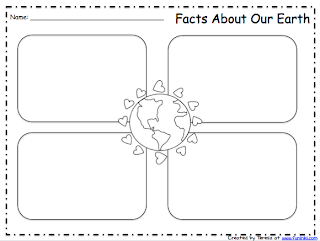 You can also grab this graphic organizer and writing paper freebie here!